I was a graphic designer (by trade) for the last 20 years, and grew up cutting my teeth on PageMaker and Quark, eventually teaching myself InDesign and now Scribus. I'm no longer a designer by trade; I'm an IT guy. That being said, I still do have a customer that I do freelance work for on the side. I take raster logos and reproduce them as a vector logo. I've switched to FOSS and rid myself of Adobe, and there's 1 standout that I'm missing from InDesign that is sorta in Scribus, but not really. There may be a better way to do this, but this is how I've figured out to do it (thus far). If anyone has a better suggestion, please, pass it along. My hopes in bringing this up is to either a) find a better alternative solution, or b) find out that this functionality is (hopefully) something "coming soon". I have artwork, an 8 1/2 x 11 page with 3 copies of a single linked image. The linked image is also 8 1/2 x 11. 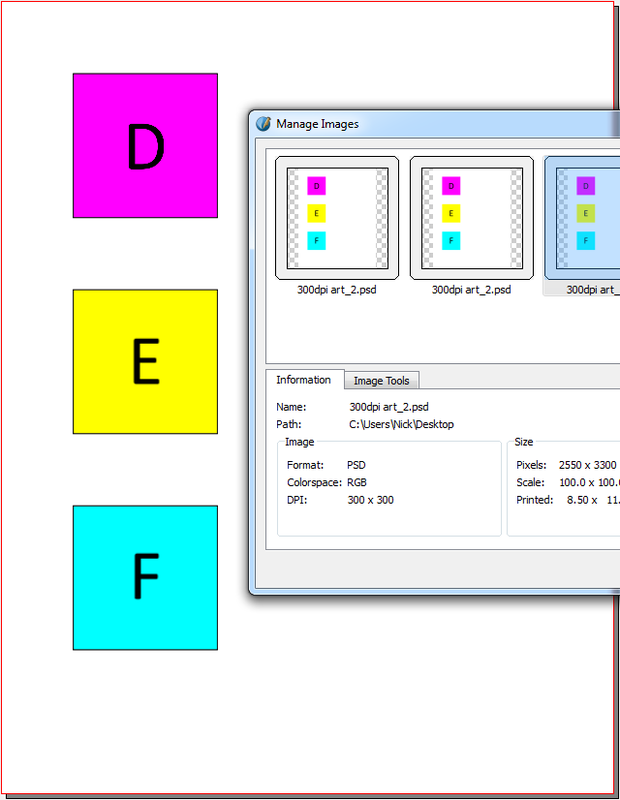 The reason I do it this way is because the single image changes, but there is other information set to the right of the images (product numbers, product details). It may not be a fully elegant solution but "it works". I take a single PSD file and edit 3 layers to show mockups of customer product with customer logos. 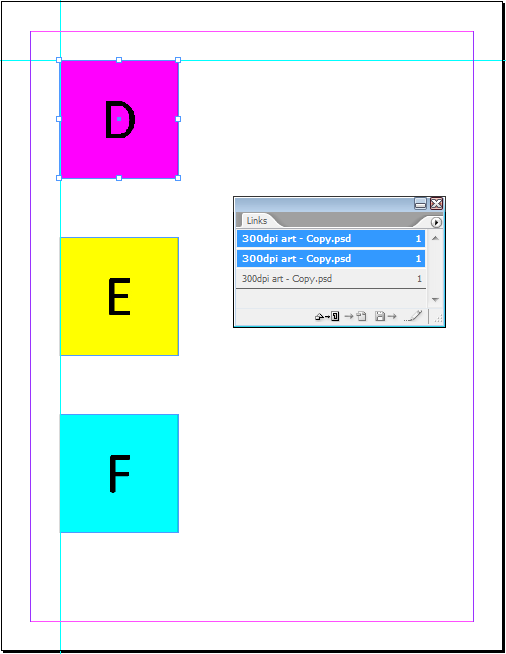 Using InDesign CS2 which is arguably "free" (can of worms opened by Adobe and then retracted). Here's my page. 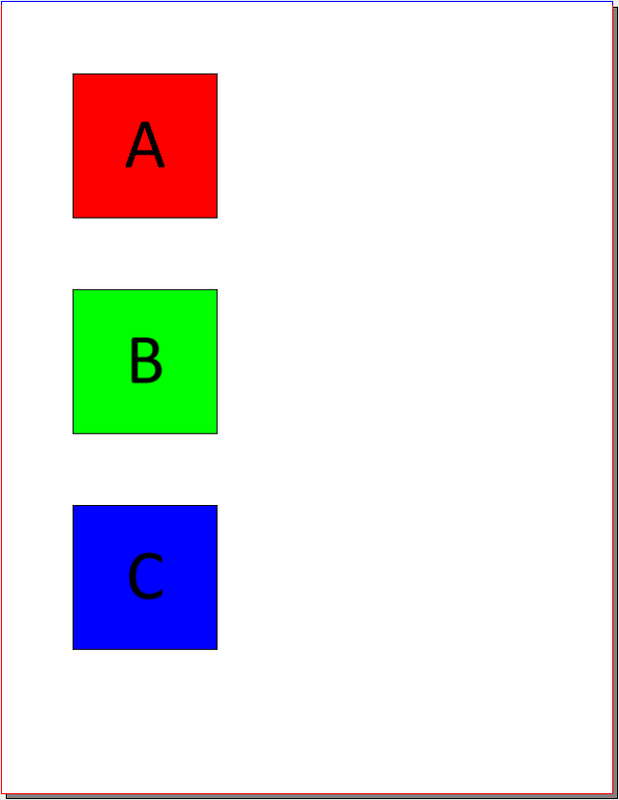 3 boxes, A, B, C, different content in each. 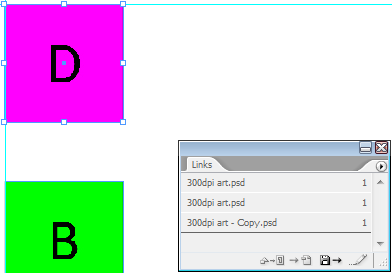 If I want to change the linked images, I open the Links palette of InDesign. From here, I'm going to choose to Relink... my art to point to the new file. I've now changed 1 of my image links, leaving the other 2 alone (for now). ...and change them both fairly easily. My art is now complete. In Scribus, the solution is nowhere near as elegant. Again, we have the same document. 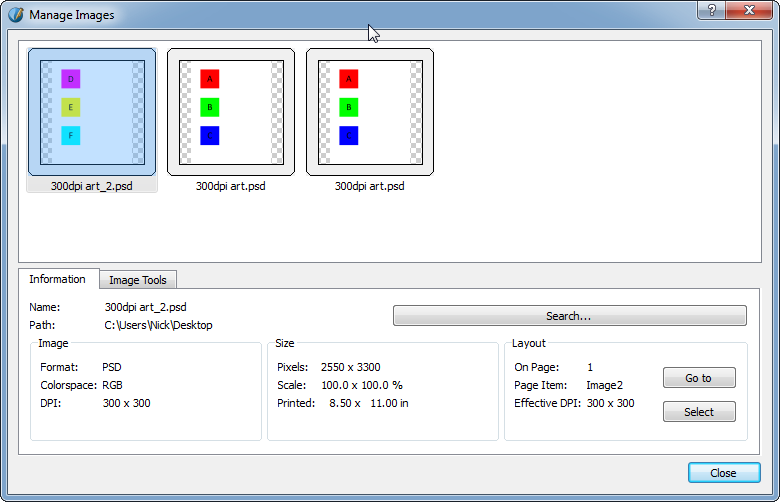 Instead of a Links palette/window, I have Extras > Manage Images. Within here, I can select one of my links, and then Search. I then Search, verify it is what I want (via Preview), and Select my art. 1 of my linked images has now changed. I have to repeat these steps for the other 2, but have to do them individually. Same steps as above - search, point to new file, select. Now, maybe there is a better way of doing this - however, I have not found it. Keep in mind, I only want to change the linked file. I want nothing to change in regards of the image box's size, the orientation of the linked image(s) within the box(es), or anything else. I merely want to update the art file that is linked and displayed within Scribus. The InDesign Links palette is great, and quick and easy. The Scribus Manage Images window is, with all due respect, not. I much prefer how InDesign handles broken links on document open. 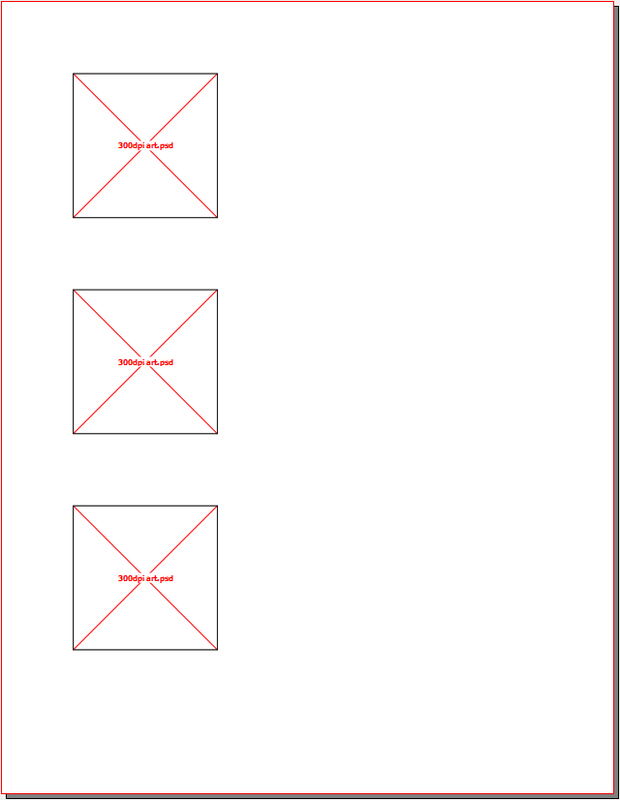 Scribus just opens and does nothing other than show you broken image link boxes. Of course this can be fixed with Manage Images, but again - not an elegant process. Again, I'm bringing this up in the hopes of either a) finding a better method or b) possibly "opening some eyes" to much-needed functionality. Scribus has (thus far) been a great program and (like Inkscape and GIMP) I've found functionality here that beats the pants off what Adobe offers for a fee. However, this is definitely one of those things that I miss in Scribus. Again, I do have this workaround, but I'm hoping maybe there's a better way or maybe in 1.6, a Links palette functionality could be added. Keep up the good work everyone, and again, please pass along any input you can provide. I don't mean to come off as an ungrateful jerk, I just wanted to bring up this functionality that I miss. Re: InDesign Links ≠ Scribus Manage Images? Welcome to the forum zero2dash. For the first part, unless I've misunderstood what you're doing, it sounds as though you're doing things the hard way. You can change the image in an image frame easily by right-clicking the frame and choosing "Get Image..." from the menu. 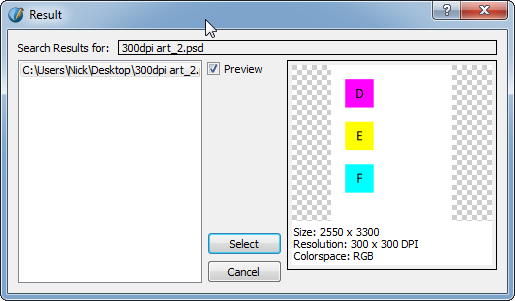 You then select a new image from the dialog and OK to use the new image. There's currently no "auto fix" function for this but I agree that it would be nice to have one. Most modern OSes have an in-built search function so it might not be too difficult to access this to find files with the same name (wherever they are on storage) and replace the "link" with one to the new location. There could be problems where many files have the same name but the user could be given the chance to choose the right one. Was that what you meant or have I got things the wrong way round? Anyway, it's great to hear about people coming from the commercial alternatives to Scribus and I hope you stick with it. There's a lot more to Scribus than seems at first and sometimes you just have to do things a little differently than what you're used to to get what you want. I think the point here is that zero2dash does NOT want to have to do it manually for each frame (on each page). Yes, I do know about that process, however, the (unfortunate) side effect of that is that using 'Get Image' to switch the images ends up re-sizing and re-orientating my linked image in the image box. Let me see if I can explain a little better - so, I have a 300dpi 8 1/2 x 11" TIFF that my customer sent me that includes photos of 3 products on it (with no logos). I make a mockup of the 3 products with my customer's customers' logo on them (which is where the Inkscape > GIMP work comes in). Rather than split up the "large" image into 3 individual product images, I leave it as is, which is 1 "large" image with the 3 product images within. Under normal circumstances I should probably split these up, but that would cause more work in this step because I'd be opening 3 different images and 3 Inkscape files rather than 1 image and 3 Inkscape files. It's also easier like this because I open my "large" image, then choose to open the 3 Inkscape docs (in GIMP) using "Open as Layers", so I'm left in GIMP with 1 "large" image with 4 total layers (1 being the original "large" image and the other 3 being my Inkscape logos as individual layers) and then can manipulate my logos where they belong over the mockup photos. It's kind of hard to visualize but basically my end result is a doc that has 3 product + logo mockups on the left side and product information about each of the 3 products (with product part numbers, codes, etc) to the right of each. Again, rather than split up with 3 individual image boxes, basically what I'm doing is making 3 copies (in Scribus) of the same image, and cropping the image box boundaries to "mask" the unwanted bits. Imagine if instead of A, B and C, you had a car, truck, and SUV, and Pepsi or Coke logo mockups on the doors of each with the various car, truck, and SUV options for colors, trim, etc. to the right of the mockups. FWIW I can somewhat understand the method to the Scribus madness, and how it uses the links "behind the scenes" and somewhat how they break and how it handles those breaks. If this is how it is, then I understand; I do however (again) wish for a Links palette. Maybe I'm being a bit selfish and wishing for an app to do all my thinking for me or make my work easier, but I guess I can dream, right? Oh definitely - again, it's really been an eye opening experience, attempting (and largely being happy with) the "switch". I see things in these free products that Adobe hasn't completely ripped off yet, and things that work better (again, PDF forms in Scribus especially comes to mind). 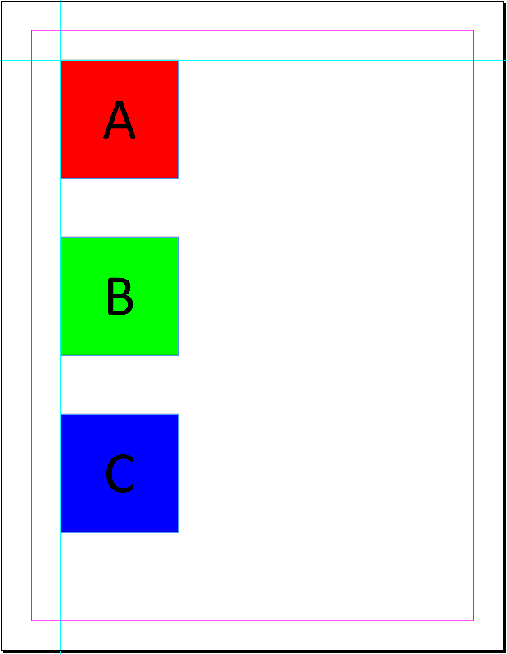 Some simple stuff too, just minor GUI tweaks with tools in Inkscape and Scribus....stuff that helps a lot. It blows my mind how far FOSS has come. A disadvantage with the solution you are using is that Scribus will include the full image in the PDF, not just the visible part. This probably makes your PDF more than 3 times larger than necessary. Thus it would be a better solution to crop the images before importing. It's interesting that you bring that up - I'd wondered why my finished PDF was a good 700KB+ larger than what I got from InDesign. That makes sense....ok then, I guess I'll tweak my process then since that will probably be more beneficial on that level as well. Lossless cropping of images in exported PDF is on the wishlist. JPEG is the major problem, but they can (if I recall correct) be losslessly cropped by allowing up to 15 or 16 pixels outside the visible part to remain. Thanks for the extra info zero2dash, I think I understand more about what you're trying to do. Unfortunately, as you said, Scribus doesn't keep the image settings when you get a new image. It resets everything back to the default. Sometimes this is helpful; you may just want to start afresh with a new image. Other times it's not helpful, as in the case you have mentioned. A nice addition might be a new option - perhaps in the PP / Image tab - where you can tell it to keep the settings. Something like a "Keep settings when getting new images" check box. That sort of thing doesn't sound - to me at least - like an unusual request. As for automatic image cropping, that's been something which lots of people have asked for in the past but, as Nermander has said, it's not a trivial function and it needs to be implemented in a "bullet-proof" fashion or people won't trust/use it. There are some scripts available for cropping images - see https://wiki.scribus.net/canvas/Category:Scripts#Full_functional_scripts - but I don't know how well they work or whether they've been extensively tested. You could try them but I couldn't vouch for their effectiveness or safety. After breaking up the images into 3 separate files, and linking/importing that way, the finished output PDF is 1/3 the size, so that's definitely a great improvement (and even smaller than what InDesign produces). That being said, I am a bit antsy waiting for the Scribus 1.6x release. Really looking forward to it based off the quick improvements I've seen in 1.51. I just had the same issue. A Document from a Windows Scribus opened on Linux, and all the linked images (>200) are referenced inside Scribus with an absolute path ( D:/.... , which doesn't exist on Linux). Thankfully the Scribus default file format is not binary, compressed or somehow obfuscated, but easily editable in a text editor. So I did a simple find and replace action on the file path to put a relative path to the images, and this worked like a charm.